As an 80-year-old, I continue to enjoy a stimulating, reasonably active life, thanks to the love and support of my children, grandchildren, other family members, and an abundance of friends. Yet the fact remains, I’m getting older, even though I often don’t feel it. These days, the reminders are more frequent than ever. I often joke that I have either a doctor’s visit or a funeral on my calendar every week. Attending the funerals of friends and colleagues are a reality of life at my age. However, I often leave these home-going services comforted, and even inspired, by the knowledge that my friends and loved ones lived long and meaningful lives, marked with great accomplishments and contributions to others. But there is one aspect of the passing of my African American friends that is increasingly alarming to me as the publisher of Black Enterprise: The likelihood is that the vast majority of them died without an estate plan or will. “Why alarm?” you may ask. Because we as African Americans have the capacity to pass on more wealth than any previous generation–wealth needed to continue to finance the progress and empowerment of future generations. But this potential cannot be realized if we don’t collectively commit to estate planning. Merely buying enough life insurance to cover the costs of our burials may have been acceptable for our parents, but it’s not even close to good enough for our children and grandchildren. How big a crisis is this? Nearly 70% of African Americans have no will or estate plan in place. Not only does this put our ability to transfer wealth to future generations at risk, it also comes at a tremendous cost. 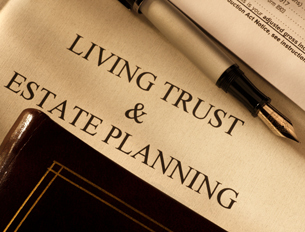 Without an estate plan, your assets fall subject to probate. According to one estate planning firm, probate costs surviving families a collective $2 billion annually–including more than $1.5 billion in attorney fees. Dying intestate (passing away without a valid will) not only blocks the transfer of wealth; it can leave a crippling financial burden to your heirs. What’s at stake? How about more than $1 trillion in black spending power? How much of that are we willing to lose to probate, estate taxes, and other costs we need to plan for? What about the homes and other real estate we’ve acquired, and our investment portfolios, including retirement plans and other savings? What about the nearly 2 million businesses owned by African Americans? How can we say we are doing our very best for future generations while leaving all of this, and more, unprotected and at risk? The truth: We can’t. Working hard your whole life to create wealth, achieve professionally, build businesses, and provide for your family, only to die without a will simply does not make sense. Of all the “what ifs” that go into a lifetime of money management and financial planning, one thing is unavoidable–life will end one day for each of us. Our commitment to multi-generational wealth creation requires us to plan for the inevitable. Estate planning means future generations not having to start from scratch to launch their businesses, or to finance the growth of those we leave to them. It means lessening our children’s and grandchildren’s dependence on student loans. It means providing the resources necessary to support the institutions, including historically black colleges and universities, necessary for the continued progress of African Americans. To achieve all of this and more requires us to establish a will and estate plan–not tomorrow, or someday, but now. And once those are in place, it also means reviewing and updating these documents as necessary, as births, deaths, changes in marital status, and other life transitions take place. Wealth building is not just about financing our lives; it’s about leaving a legacy for our children, and their children, to build upon. Our commitment to black financial empowerment requires us to put in place the tools and measures necessary for preserving and transferring our wealth, no matter how much–or how little–we believe we have, to future generations. Earl G. Graves Sr. is the Founder and Publisher of Black Enterprise.